The word education is derived from the Latin word Educatum which means the act of teaching or training. There is another word in Latin that is Educare which means to bring up or to raise. The word Educare means to lead forth or to come out. All these meanings indicate that education seeks to nourish the good qualities in man and draw out the best in man.Education helps to develop the inner capacities of man. By educating an individual we attempt to give him some desirable knowledge, understanding, skills, interests, attitude and critical thinking. That is he acquires knowledge of history, geography, arithmetic, languages and other sciences. By education people develops some understandings about the deeper things in life, complex human relations and cause and effect of relationships etc. The person gets some skillsinwriting, speaking, calculating, drawing, operating some equipments etc. Education is necessary for the survival of the society. It is a purposeful activity. The aims of education will vary from time to time and from people to people. Educational aims can be immediate and ultimate. Immediate aims are those which fulfill the immediate needs. The ultimate aim of education is the perfect happiness. Formal education refers to the hierarchically structured and chronologically graded system of education. It is consciously and deliberately planned system of education to bring about specific behavioral changes in the educand. It is preplanned by the society with definite aims and is imparted in schools, colleges and universities, which are established for systematic education. v Planned education keeping in keeping in view some definite plan. v Education imparted through well planned means. v Education starting and ending at particular age. v A teaching learning process with which the teacher and learner are acquainted. v Education organised by some agency. Formal agencies are those institutions and organizations which are systematically organized. In these institutions the process of education is deliberately planned. There is a definite curriculum. The whole process is manipulated with a definite objective for the fulfillment of the needs of the society. The schools, colleges, universities etc are the important agencies of formal education. a) School is the savior of culture traditions. b) School helps to achieve the ideal of the nation. c) School can give a glimpse of practical democracy. d) School provides an opportunity for the development of individual powers and abilities. e) School takes the responsibility of social reconstruction. f) School tries to make us ideal citizens. College is an educational institution or a constituent part of one. A college may be a degree awarding tertiary educational institutions, a part of collegiate university, or an institution offering vocational education. In India the term college is commonly reserved for institutions that offer degrees at year 12 and those that offer the bachelors degree. The colleges offer programmes under that university. Examinations are conducted by the university at the same time for all colleges under its affiliation. A university is an institution of higher education and research which grants academic degrees in a variety of subjects and provides both undergraduate education and post graduate education. Universities are generally composed of several colleges. A large proportion of India’s population is poor and live in pathetic conditions. Education, in any form needs improve their quality of life and help them participate productively in the national development. A large proportion of children dropout from the formal system .The non formal educational system has been introduced to bring the un-enrolled and dropout children of age group 9-14 into the fold of primary education. For Coombs non-formal education means, any organized systematic, educational activity outside the framework of the formal system to provide selective types of learning to particular sub-groups in the population, adults as well as children”. In other words it is an alternative to the formal education. Unlike the formal education, non-formal education has no predetermined time table or the pace of academic progress. The non-formal education is basically non-competitive and open ended. It has limited purposes and goals..
3. Diversification of curriculum and instructional methods;in the type of course to be offered and their supplimetation by vocational education. 4. Decentralization in management structure and financial powers. 5. Covering life span of an individual. 6. Guided by motivation of the individual for self growth,self renewal. 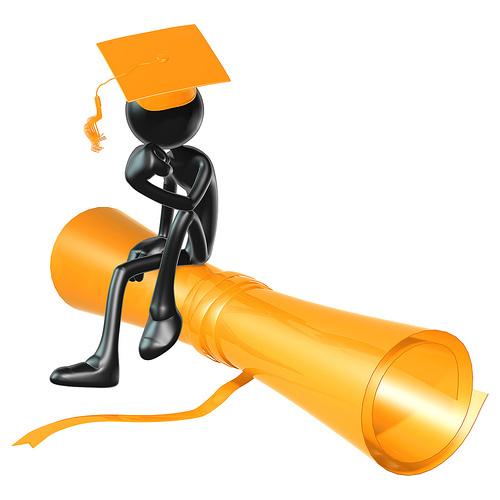 Distance education can be defined as the system of education in which education is imparted to students from a distance. It contains two physical elements (a) physical separation of the teacher and the student (b)changed role of the teacher. Distance education methods can be successfully used for relating to groups who, for geographical, economic or social reasons are unable or unwilling to make use of traditional or conventional provision of education. Distance education can never be formal as it is a nontraditional innovative method of education, employing a multimedia approach including human contact. In fact the distance mode allows the educational system to be open and the educational openness of the systems suits the promotion of distance education. v It increases access to higher education, especially for women, working population, the deprived groups and those living in remote areas. v It provides a second chance to those who could not make it when young. v It offers course with ample options of subjects and electives. v It helps in phasing out the study as per changes in official, family or personal situations in one’s life. v It provides tenability of accumulating credits by successfully completing one or more subjects of a course. The process of recruiting individuals in Distance Education situation is different from that of other educational institutions, as the individuals joining have an extremely blurred idea of their profile. Most Distance Education seeks quality education, but is unable to meet their expectations when compared to direct teaching knowledge acquisition should be a transparent process. It was in the third five year plan (GOI 1961-1966) that the planning commission took serious note of such a need and referred to the need for correspondence education. The commission was stressed that if deterioration in quality was to be avoided, an increase in the number of students should be accompanied by a corresponding expansion of physical and other leading facilities. It was in this context that proposals for evening colleges, correspondence courses and award of external degrees were considered. The Kothari commission recommended the institutions of correspondence course in view of the greater flexibility, economic viability and the innovative method of imparting education through well prepared, pre-tested and constantly revised course materials. In ordrer to maintain the educational standards, It also felt that some training and continuing guidance should be provided to prepare self instructional study materials. There should be personal contact between the teacher and the student for about three weeks in a year. Improvement of qualifications and the desire to continue with higher education were identified as major motivating factors for joining the correspondence course. Non-availability of time, mental maturity, and non-existence of colleges in the locality, heavy, age, employment, paucity of time, poor financial conditions and poor performance in the last qualifying exams were found to be some other additional reasons. a) Most of the correspondence institutions do not have competent and adequate staff. As a result they have low motivation. c) Not much attention is paid to the assignments; they are not evaluated, corrected and returned to the students in time. D) Most of the correspondence courses do not have study centers and personal contact programmes are organized by only a few institutions. e) Too much reliance is placed on the printed material and latest communication technology is hardly used. f) There is considerable delay in the dispatch of lessons to the students. In view of the deficiencies of correspondence education, the open education system was introduced in the country. In fact it may be said that the introduction of the Open University system is a direct outcome of the conventional system and of the correspondence course institutions to deliver the goods. Another important concern was the improvement of the quality of higher education. The first Open University established on 26 August 1982 and now it is known as Dr.Ambedkar Open University. 1. To reverse the tide of admission in formal institutions. 2. To offer education to people in their own homes and at their own jobs. 3. To enable the students to earn while they learn. 4. To provide counseling and guidance to people. 5. To take education to the remotest villages, through radio, television and correspondence courses. v Individualised study; flexibility of pace, place of study etc. Open universities have made a beginning in democratizing higher educational opportunities for large segment of population and also for those who have been denied education through conventional education system. Literacy is the conventional sense of being able to read and write. In essence, literacy is the facility of using in all its forms like reading, writing and oral communication, besides some basics of arithmetic. The lowest limit of literacy is the ability to read and write one’s own name and a few other words. Mass literacy programme is an intentionally initiated movement by the government of India to make literate, the masses of Indian population. It was an attempt to make 80 million people literate between the age group of 15-35 by the year 1995.The main target areas and groups were rural people, women, SCs, STs and who left out of the formal systems. National Literacy Mission was set up by the government of India on 5 May 1988 with an aim to eradicate illiteracy in the country by imparting functional literacy to non-literates. Thus, National Literacy Mission was established not only to make everybody just reliant in the 3R’s-reading,writing,arithmetic-but also to make them aware of the development issues affecting the society. The target group of National Literacy Mission is people between the age of 15 and 35. The National Literacy Mission initiated its first successful literacy campaign in Kottayam city followed by Ernakulam district. Total Literacy Campaign is now accepted as the dominant strategy for eradication of adult illiteracy in India. These campaigns are area-specific, time bound, volunteer-based, cost-effective and outcome-oriented. The thrust is on the attainment of functional literacy through the prescribed norms of literacy and numeracy. The learner is the focal point in the entire process. Through Total Literacy Campaign is meant to impart functional literacy .It also disseminates a basket of other socially relevant messages such as enrolment and retention of children in schools, immunisation, propagation of small family norms, women’s equality and empowerment. For very large number of adults in the world today,adult education is a substitute for the basic education they missed.For the many individuals they received only a very incomplete education,it is the complement to elementary or professional education.It offers further education to those who have already received high level training and it is a means for the individual development for everybody. v To widen the intellectual horizon of the illiterate adult,who are partially illiterate. v It gives new hopes to illiterate. v It can help the adult in co-operative living. v The adult education programme can help for the progress of compulsory primary education. Extension education is an out-of-school process which aims at helping people to help themselves in solving their problems. The gramasevak teaches people how to solve their problems. Gramasevak is a teacher of people. Extension education helps people to help them in solving their present and future economic, social and cultural problems. It helps both adult and youth. The ultimate aim of the help through extension education is a greater satisfaction in life. Agricultural extension is a general term meaning the application of scientific research and new knowledge to agricultural practices through farmer education. It is extending the knowledge on managing and running industries. It is extending knowledge about breeding, managing, feeding and care of animals and birds. Special programmes normally given to girls related to home management, home arrangement including interior decoration. Formal education is a systematic, pre-planned and chronologically graded system and is offered through schools, colleges, universities; independent research organizations or any other definite institutions. Non-formal education mainly aims the out-of-school children, unemployed youth and illiterates. There are many schemes for non-formal education. Non-formal educational system is helpful for those who cannot make use of the conservative system of formal education. Non-formal education has a major role in moulding the society.